Grilled cheese makes me feel like a kid again! Any kind would be great! I would love to try any of the grilled cheese they offer...I miss grilled cheese on regular breads!!! Just not the same on my udi's bread:(. Ooh, I really want to try the Cambridge grilled cheese! I love Horseradish. I like the Ogden, but would be open to trying the Edison! 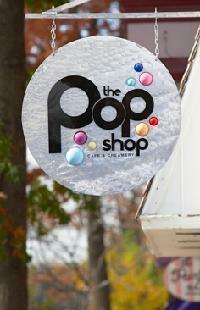 I've never been to the Pop Shop but I would love to eat there! My husband and I frequent Inde Blue when in Collingswood which also has a great gluten free menu. My hubby loves the GF Grilled cheese at the POP SHOP! !